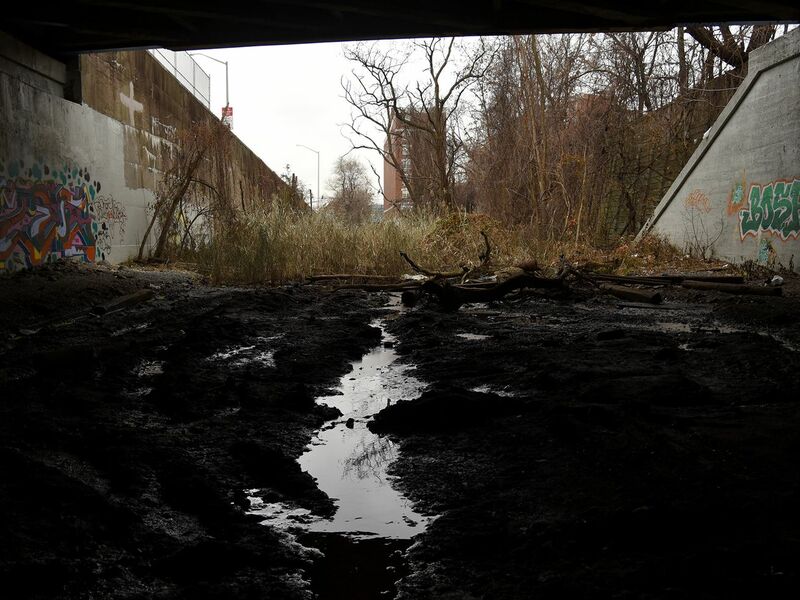 Home/Real Estate/What will it take to bring the Bronx’s Tibbetts Brook back to life? 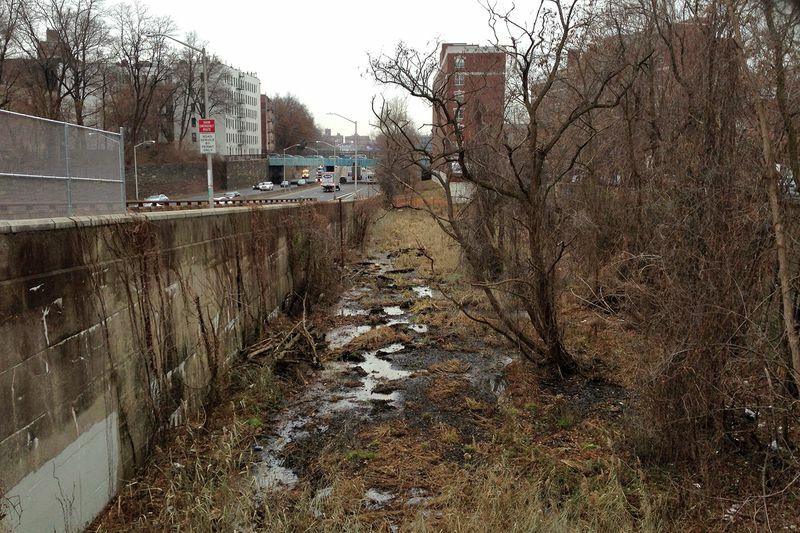 What will it take to bring the Bronx’s Tibbetts Brook back to life? Up in the Bronx, a quiet brook flows through Van Cortlandt Park, passing peacefully underneath highways, through golfing greens, and alongside a decommissioned railroad line. Its narrow flow is home to ducks and swans, and its banks are lined with wetlands and forests. 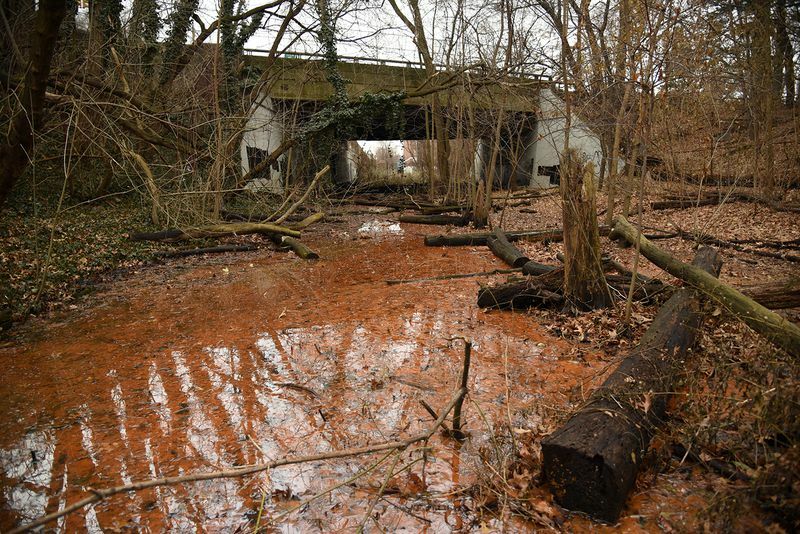 The creek ends in a manmade lake that dates back to the 1600s, where it suddenly and violently disappears, dropping out of sight into a century-old storm drain. This is the Tibbetts Brook, which may soon become the first underground river in New York City to be restored and brought back to life. Although it flows almost four miles from its headwaters in Yonkers down to its vanishing point in Van Cortlandt Lake, the last underground mile of Tibbetts Brook routes all of its freshwater into the New York City sewer system, sending up to five million gallons a day into an overloaded processing plant on Wards Island. 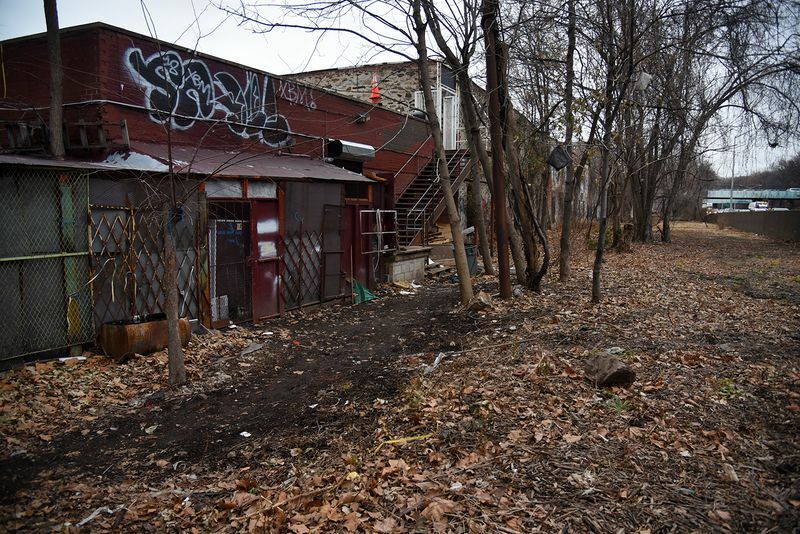 This unnecessary rerouting has helped to increase flooding in the neighborhoods south of Van Cortlandt Park, where businesses and streets are inundated more often. 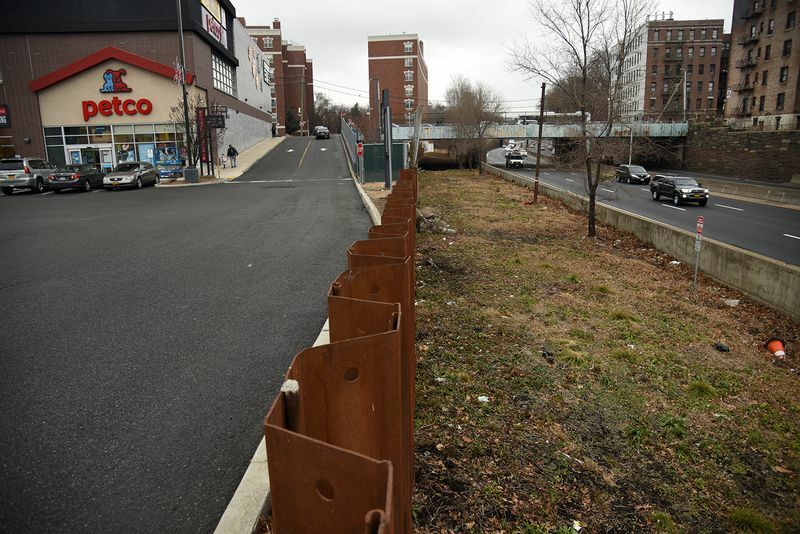 Step by step, however, the restoration of Tibbetts Brook is moving towards a reality, as part of a process called “daylighting,” where buried rivers are uncovered and routed aboveground once again. 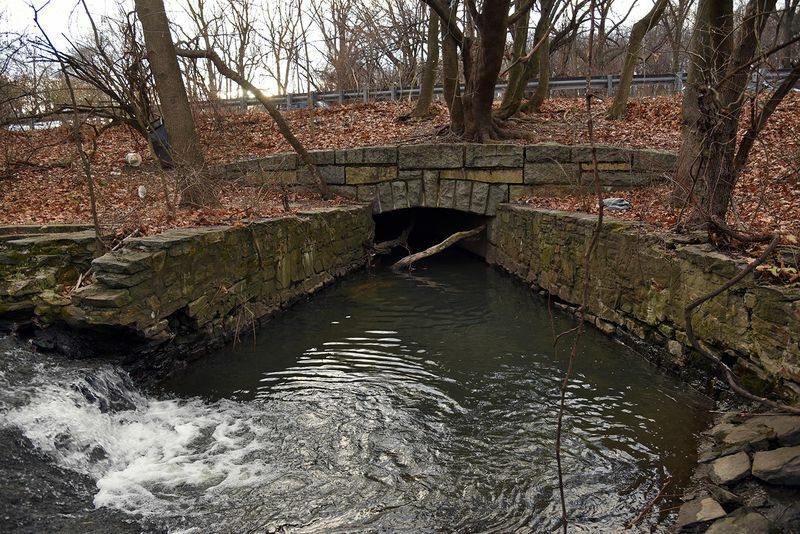 The NYC Parks Departments has included the daylighting of Tibbetts Brook in its master plan for Van Cortlandt Park, while the Friends of Van Cortlandt Park and the Bronx Council for Environmental Quality have started a broad coalition of local groups that support the project. And this October, U.S. Senator Chuck Schumer and Borough President Ruben Diaz, Jr. hosted a public rally demanding that a vital piece of the daylighting proposal be sold to the city. 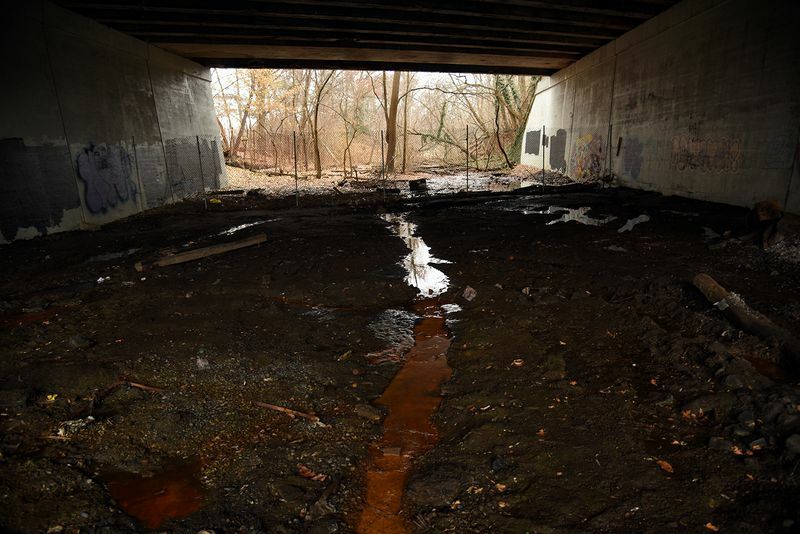 In order for the daylighting of Tibbetts Brook to succeed, the city must first purchase a mile-long section of the old Putnam Railroad, which is owned by CSX Transportation. 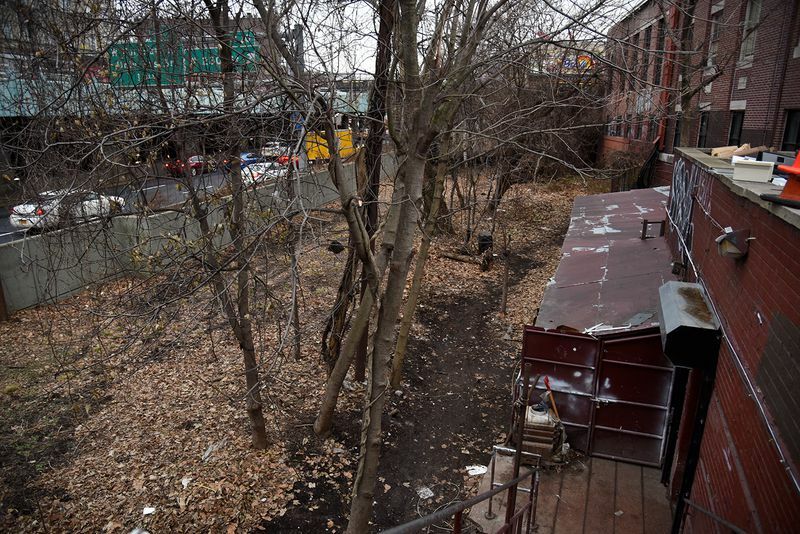 This section of the former train line is sandwiched on a narrow stip of land between Broadway and the Major Deegan Expressway, and has been abandoned for decades. Opened in 1881, the Putnam Railroad ceased passenger service in 1958, and as freight trains slowly vanished in the 1980s, it became an overgrown wilderness. 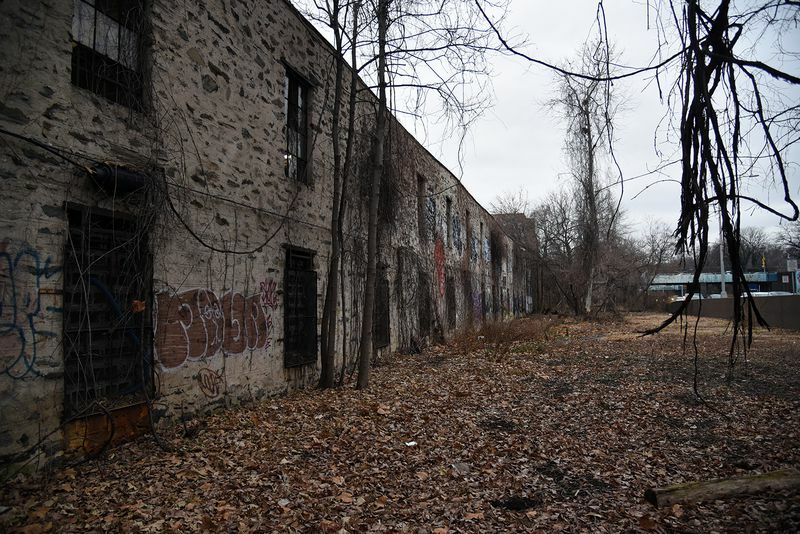 The NYC Parks Department has been negotiating to buy this property for years in order to reroute Tibbetts Brook from Van Cortlandt Park to the Harlem River, but it has currently reached an impasse in their talks with CSX, which recently “walked away from a deal with the city” to sell the land, according to Riverdale Press. 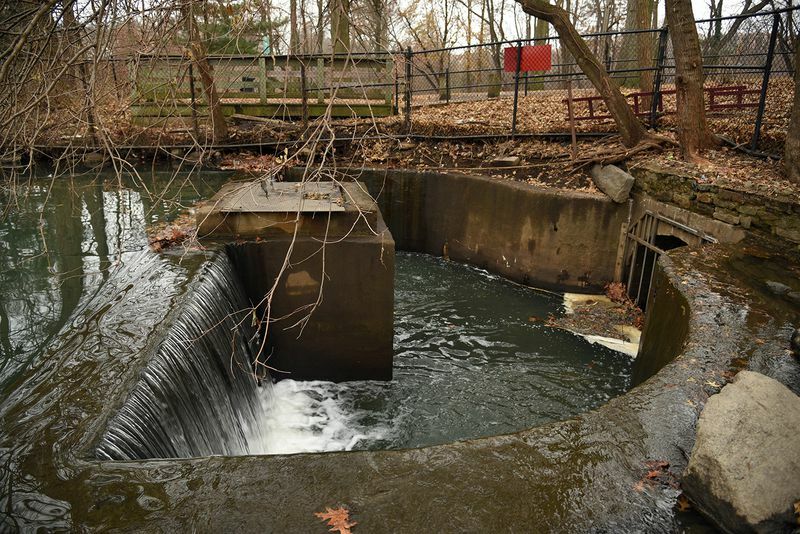 If their plans eventually succeed, the daylighting of Tibbetts Brook would almost double the length of the stream in New York City, removing billions of gallons of water from the sewer system and marking a symbolic end to centuries of industrial pollution and neglect. 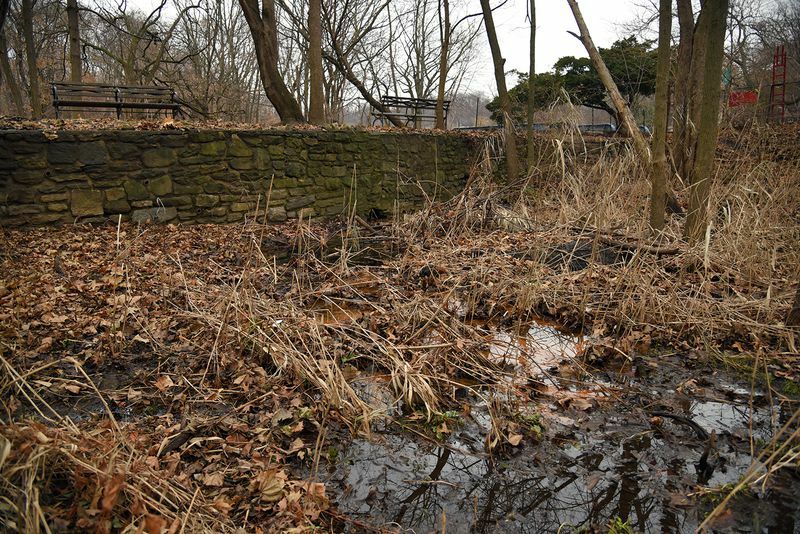 While none of these phases would actually restore the historic path of Tibbetts Brook, which is located further west in Kingsbridge, they would all help alleviate some of the worst flooding in the area. A well-designed water management system here could help reroute two billion gallons of freshwater annually from the city’s overtaxed sewer system, while also channeling away hundreds of millions of gallons of rainwater. Street floods have become a regular occurrence in Kingsbridge and Marble Hill, and are inundating local businesses along Broadway, adjacent to the CSX property. This past September, a flash flood submerged Astral Fitness, located on Broadway near West 230th Street, leaving its weights and workout equipment underwater. 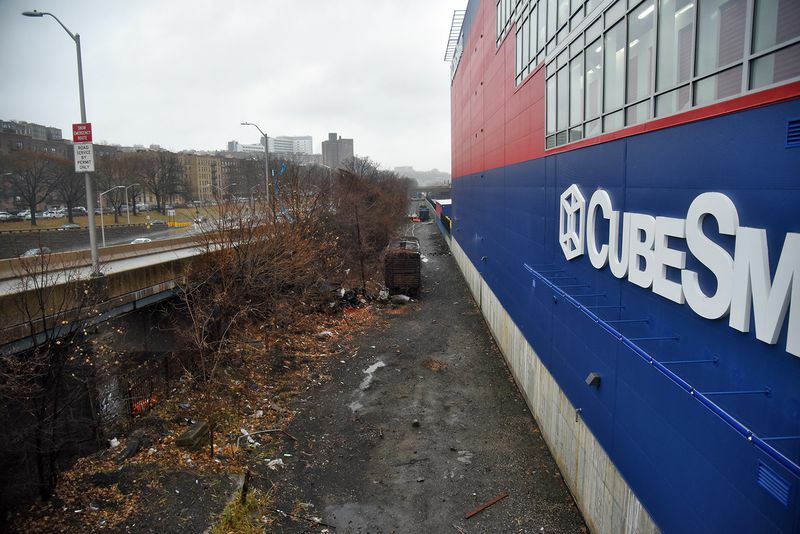 One block away, at West 231st Street, the floodwaters rose approximately six feet high on the old train line, swamping several other businesses. Ever since the High Line opened, there have been numerous proposals to transform New York City’s abandoned train lines into public parks and green spaces. 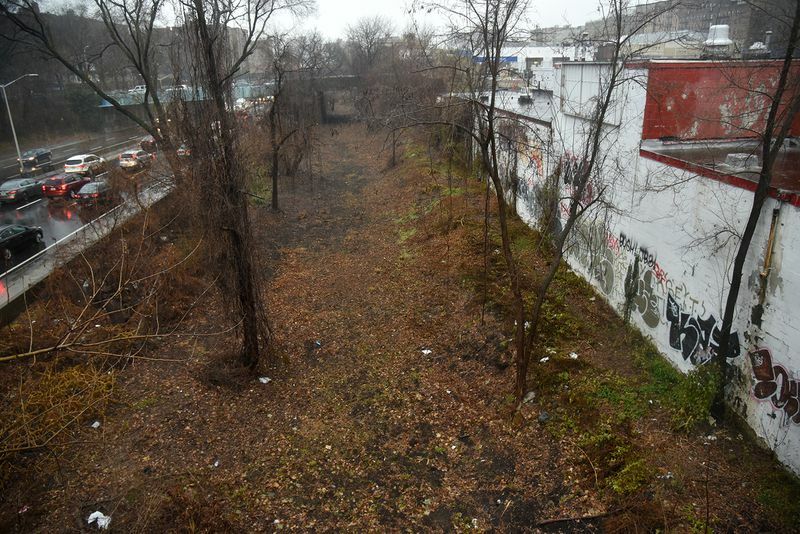 Nearby in the Bronx, a Lowline-style park has been proposed for the neglected Port Morris Branch, while in Staten Island, a nonprofit has proposed building a North Shore High Line along the overgrown tracks of the North Shore Branch. 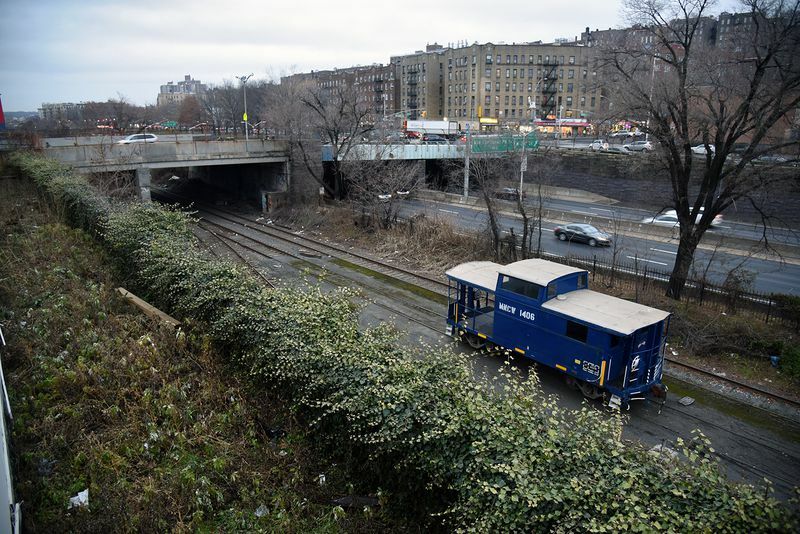 And in Queens, community members have proposed a Ranch On Rails for the decommissioned Montauk Cutoff, and the QueensWay along the rotting tracks of the Rockaway Beach Branch. As Tibbetts Brook flows through Van Cortlandt Park, it passes underneath the Henry Hudson Parkway and the Mosholu Parkway, on a course that runs parallel to a northern section of the old Putnam Railroad. 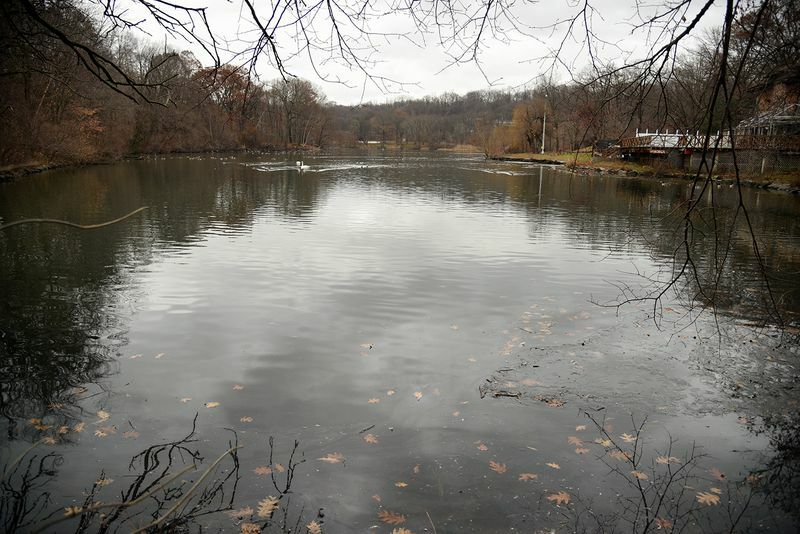 The waters of Tibbetts Brook fill Van Cortlandt Lake, which was created in 1699 by the Van Cortlandt family by damming the brook with an earthen barrier. The lake was used to power grist and saw mills, according to a NYC Parks Department history. 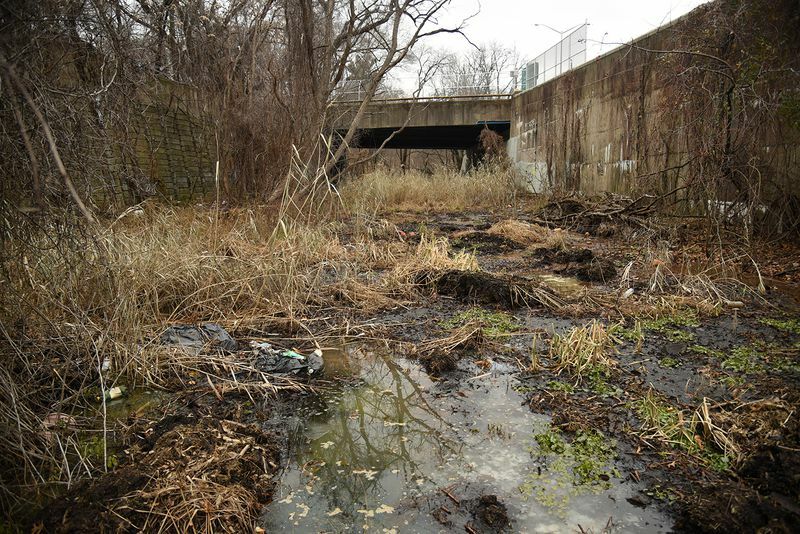 At the southwest corner of the lake, the freshwater flow of Tibbetts Brook is routed down into a storm drain that leads to the Broadway sewer, where it mixes in with raw sewage and stormwater. “On a dry day, four to five million gallons of water from Van Cortlandt Lake goes into the Broadway sewer,” says Taylor. The old earthen dam on the lake was replaced in 1903 by a new stone dam, as part of a Parks Department cleanup. This newer dam has a pipe installed inside, allowing the lake to be drained. A constant flow of water from the lake drips out of this barrier and into an adjoining wetlands. 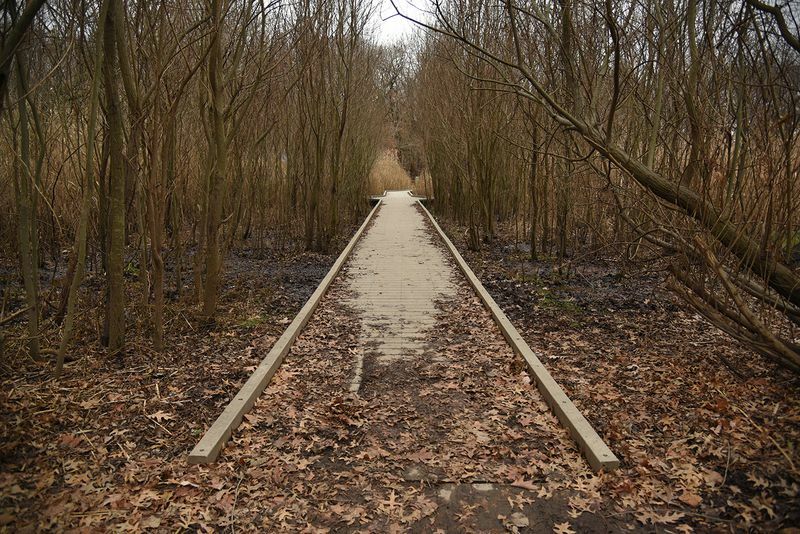 A boardwalk has been constructed through the wetlands south of Van Cortlandt Lake. This area of the park will be part of phase one of the Tibbetts Brook daylighting, which includes an $18 million wetlands restoration project. South of the wetlands is an overgrown stretch of the Old Putnam Trail, which follows the route of the Putnam Railroad line. 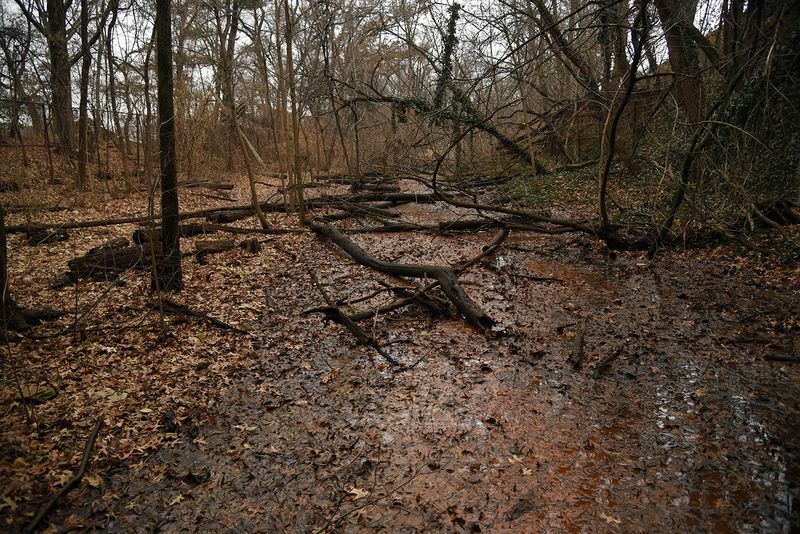 The trail here is in a low point, and the ground is muddy and covered with standing water. If the dam on Van Cortlandt Lake were to burst, some part of Tibbetts Brook would course through this gully. 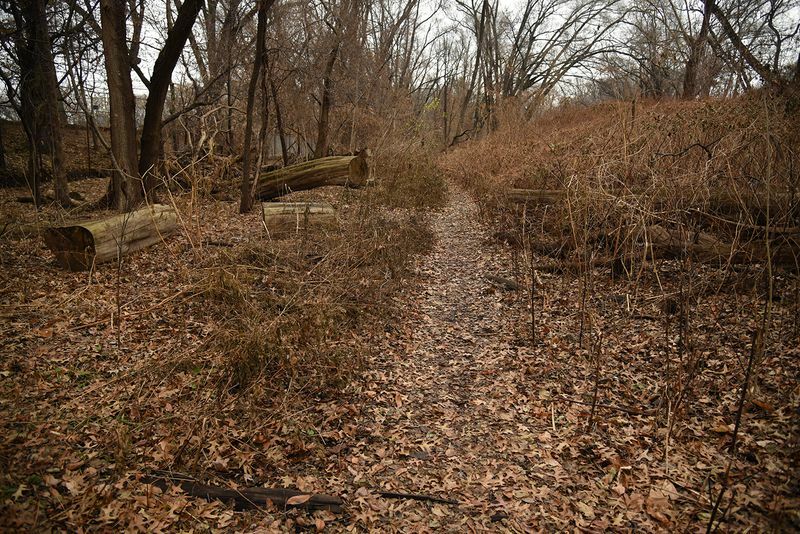 In this low area, the Old Putnam Trail already resembles a brook. The path is flooded over as it travels along the old railroad cut out towards the southern end of Van Cortlandt Park. Beneath a bridge under Van Cortlandt Park South, a steady stream of water flows. This is where phase two of the Tibbetts Brook daylighting would begin, bringing the creek to the surface here and routing it south along the CSX property. 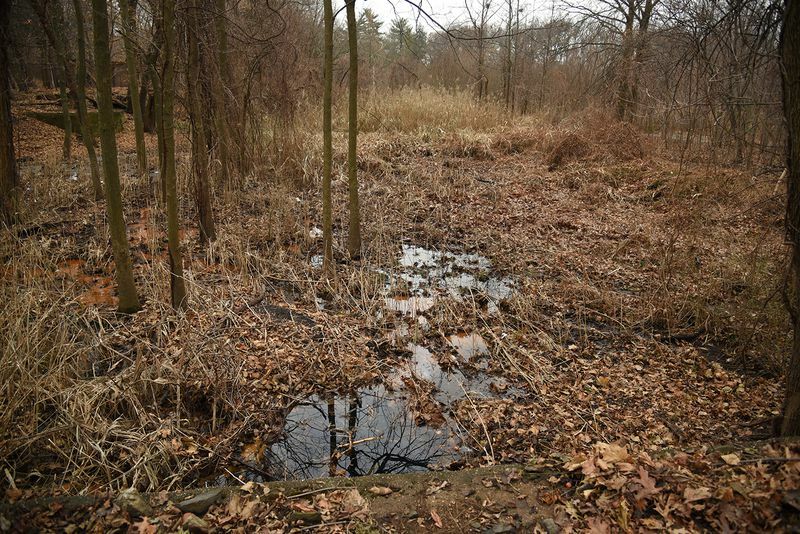 The property here has not been maintained by CSX, and has been left to become an “accidental urban wetland,” complete with phragmites and tall marsh grasses. 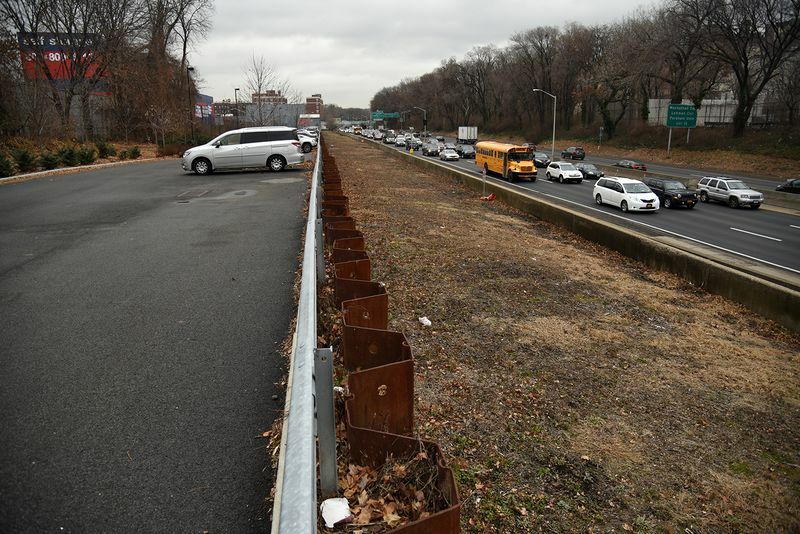 Looking south from Van Cortlandt Park South, the mile-long CSX property is hemmed in by the Major Deegan Expressway, along “a strip of land that is about 25 to 75 feet wide, depending on where you are,” according to Taylor. South of West 238th Street, the old Putnam Railroad was cleaned up by CSX in 2017, and its freshly cleared trackbed passes by a series of new shops and storage facilities that have been built at its edge. This strip is Riverdale Crossing, home to a Petco, Buffalo Wild Wings, and BJ’s. 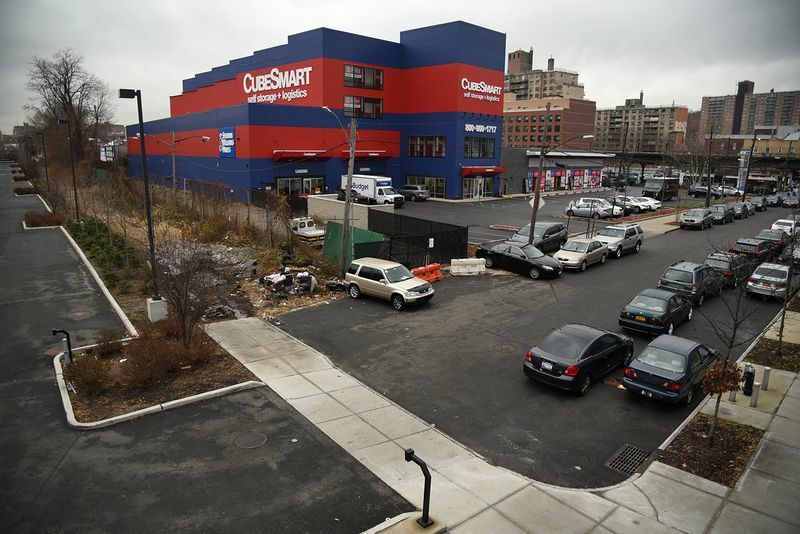 Further south, at West 236th Street, a new CubeSmart storage facility has been built close to the edge of the old rail line. A bike path here would pass behind a series of anonymous big-box developments. 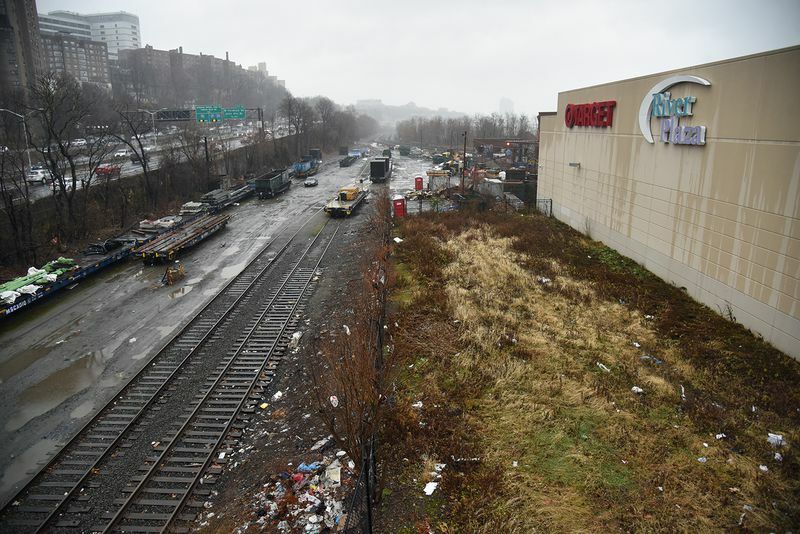 To the south of West 236th Street, the cleaned up CSX property is sandwiched between a parking lot and the Major Deegan Expressway. Access to a greenway here would be relatively simple, since only a low bulkhead separates the asphalt from the trackbed. On a rainy day, you can watch the water quickly accumulate along the old Putnam Railroad. 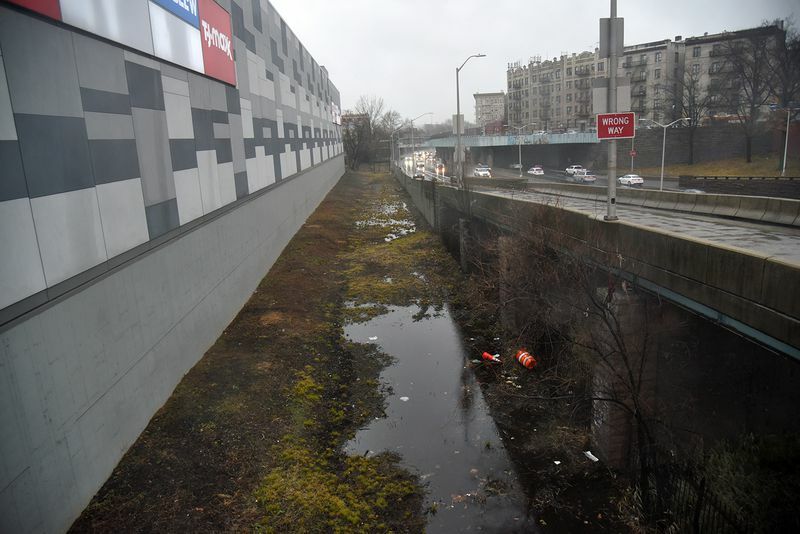 In this section, south of West 231st Street, the CSX property began to remember a river, with water flowing along the trackbed. 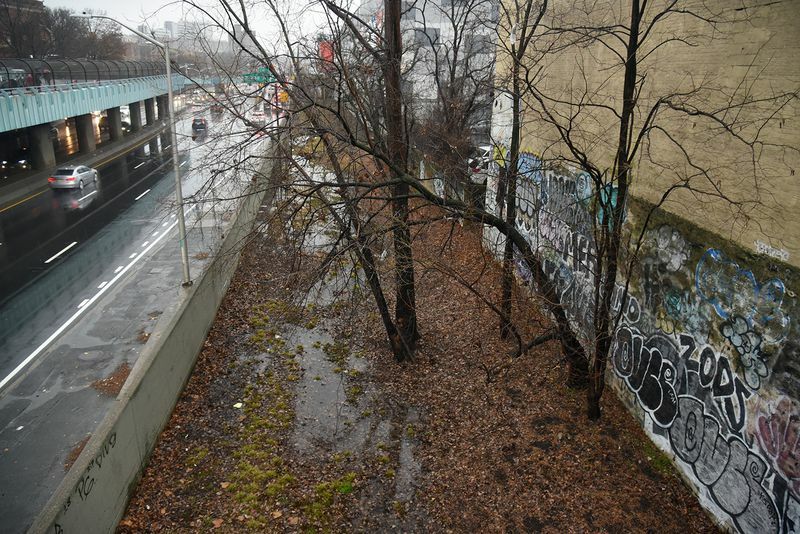 The southern end of the proposed daylighting is at West 230th Street, where the flooding is at its worst. This narrow strip of land is located behind Broadway Plaza, yet another new mall that would cut a greenway off from the neighborhood. South of West 230th Street, alongside another new CubeSmart storage facility, the last train tracks on the Putnam Railroad emerge. 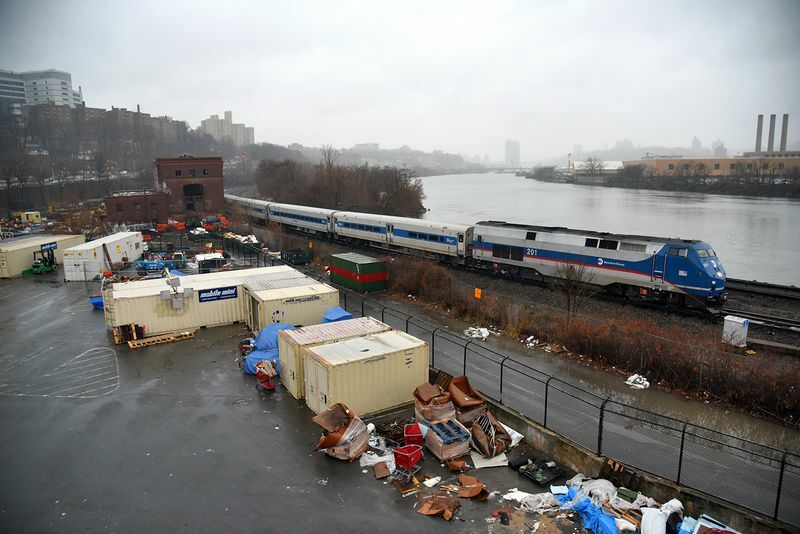 This area is not part of the proposed daylighting or the proposed Putnam Greenway, and is littered with debris and unused train cars. 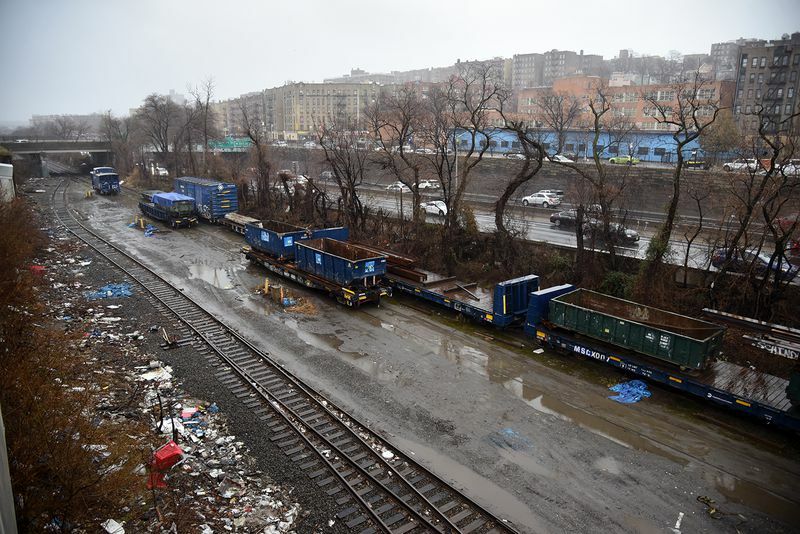 As the train tracks continue south, below West 225th Street, more and more train cars appear. In this area, the third phase of the Tibbetts Brook daylighting, the creek would again be forced to travel underground. Heading towards the Harlem River, the tracks pass behind River Plaza, yet another mall, near Broadway. This facility is home to a Target and several other generic chain stores. The southern terminus of the old Putnam Railroad is marked by the abandoned Kingsbridge Substation, also known as Substation No. 3. 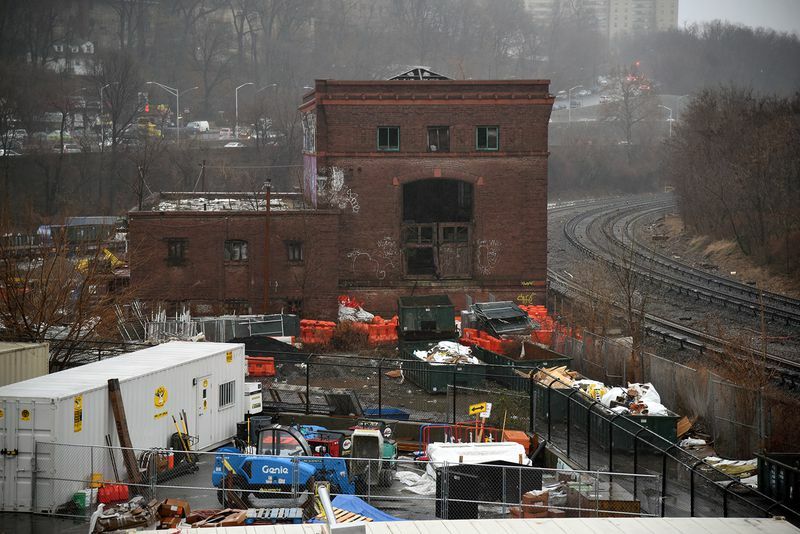 It sits on MTA property, adjacent to the Metro-North train tracks. The rerouting of Tibbetts Brook would end somewhere near here, with the creek passing under the Metro-North tracks and emptying out in the Harlem River, very near to the place where it once naturally flowed. 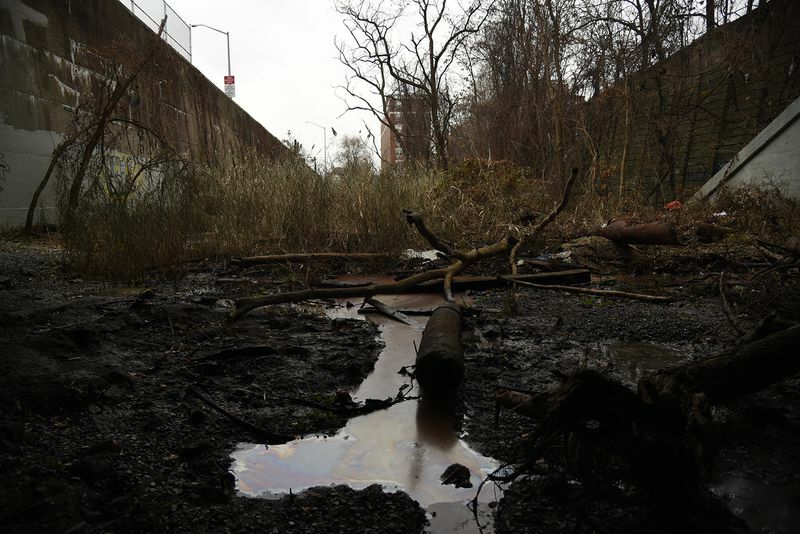 On rainy days, the creek also currently empties out into the Harlem River, after being mixed in with millions of gallons of raw sewage. Nathan Kensinger is a photographer, filmmaker, and curator who has been documenting New York City’s abandoned edges, endangered neighborhoods, and post-industrial waterfront for more than a decade. His Camera Obscura photo essays have appeared on Curbed since 2012. His photographs have been exhibited by the Museum of the City of New York, the Queens Museum, the Brooklyn Museum, the NYC Parks Department, and inside the Atlantic Ave-Barclays Center subway station.